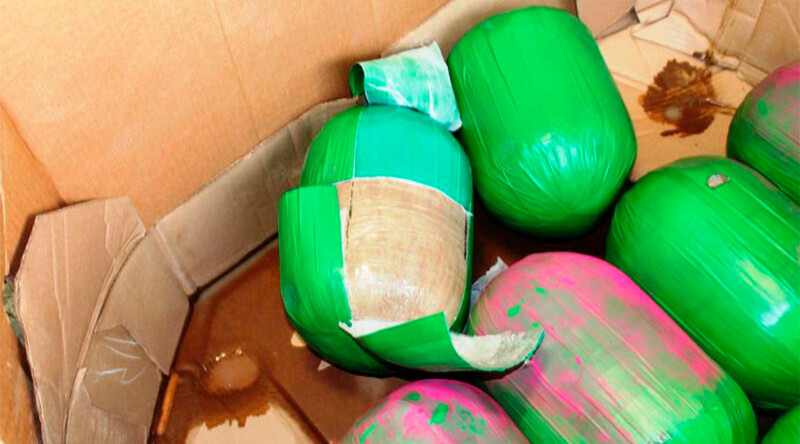 Over 3,000 pounds of marijuana, disguised as watermelons, was found in a commercial shipment of fruit by the US Customs and Border Patrol in Texas. The huge drug seizure, which had a street value of over $600,000, went down in Pharr, Texas last Tuesday after CBP officers inspected the tractor trailer using a non-intrusive imaging system and a canine officer team. When the police dog reacted positively to the presence of narcotics, officers discovered 390 watermelon shaped packages concealed beneath a shipment of actual watermelons. “Smugglers continue to be creative as they attempt to introduce illegal narcotics into our country,” said Port Director Efrain Solis Jr. in a press release. The drugs have been seized and an investigation by the Department of Homeland Security is underway.